Leanne joined Gartsides in 2001 and has worked predominantly from our Abergavenny office since 2002. She has over 16 years experience of working in the legal field, particularly civil and family work. 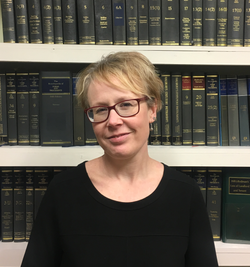 Leanne undertakes all aspects of family law, assisting Gartsides large family team, with a particular emphasis upon children matters, assisting parents and grandparents in a variety of private and local authority issues. Leanne’s central civil litigation work includes probate disputes, commercial disputes and boundary issues, landlord and tenant, building disputes and commercial debt matters. She has a common sense approach to the practicalities and realities of litigation. Leanne studied law at Cardiff University. She has a young family, which has only added to her enjoyment in assisting parents in children matters and is also a governor of her local school.